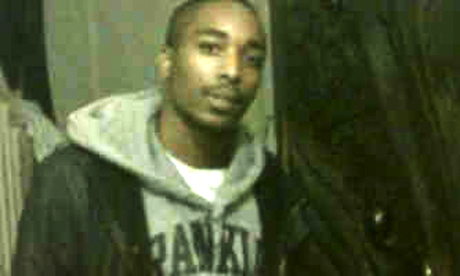 A Hackney gang member who murdered a man out celebrating his birthday has been jailed jailed for life. Dean Smith, 26, of Lordship Road, Stoke Newington, was found guilty at the Old Bailey on Monday (17 December) of murdering 22-year-old Aarron McKoy in the early hours of 1 January last. After responding to reports of a shooting in Portpool Lane, Clerkenwell, police officers found McKoy suffering from gunshot wounds and he was pronounced dead at the scene. Sentencing the defendant to a minimum of 31 years, the Judge emphasised that there had been “not one scintilla of regret or remorse from Smith”. Aside from it being a New Year’s Eve party, the victim and his twin brother had also been celebrating their 22nd birthday together at the Clerkenwell House wine bar that night. McKoy, from Hackney, was linked to the Holly Street area and trouble began with members of the London Fields and Lordship gangs who were also at the venue. However, neither McKoy nor his brother were involved and police have said they were not the cause of fighting on the night. At around 4am the violence escalated when, outside the venue, another altercation resulted in a 24-year-old man being stabbed. Soon after this incident Smith dropped a gun on the ground that went off and McKoy was subsequently chased down the street by gang members. He fell about 100 metres from the club and was surrounded by the group which included Smith who then shot him three times. Investigating officer Det Chf Insp Dave Rock, from Trident, said: “Smith’s conviction has proved he pulled the trigger that night and ended the life of an innocent man. Five other men, charged with the murder under joint enterprise, were found not guilty by the jury.